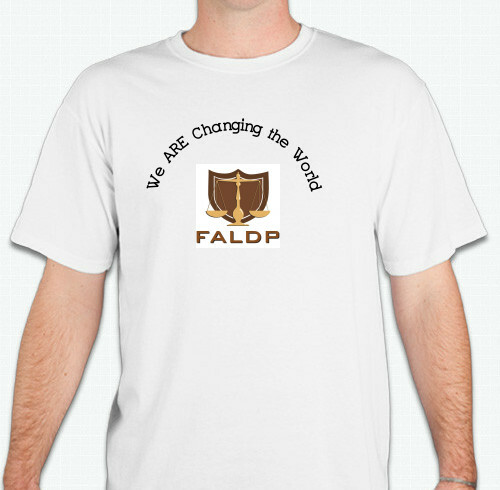 Brand new for our conference, 100% cotton, white with our FALDP logo and the words: We ARE Changing the World above. These will be available for sale after the conference. Our inventory is reserved for the conference as prizes and giveaways. We will offer these for sale after the conference. 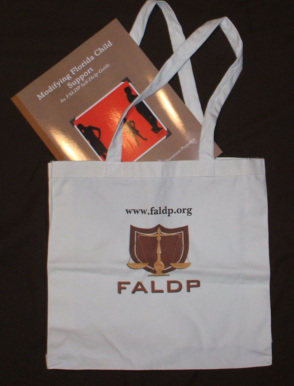 Many members have requested FALDP identification and now they're available. We offer FALDP picture ID Cards for only $3.99. 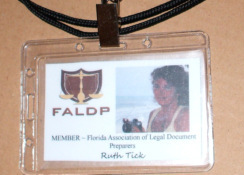 Our FALDP Picture ID cards display your picture, the FALDP logo, "Member- The Florida Association of Legal Document Preparers" and your name in script. The ID cards are wallet size and also come with a plastic sleeve and lanyard for wearing around your neck. And we have TOTE BAGS just like the ones introduced at our Third Annual Conference - now only $17.99. Sturdy canvas and plenty of room for your books, notebook, and other necessaries. Designed for the document preparer on the go. More products coming soon -- watch this space! We have other products in development right now. As always we appreciate your comments and questions.